The Western Horse Annual’s special features make it stand out amongst the rest. 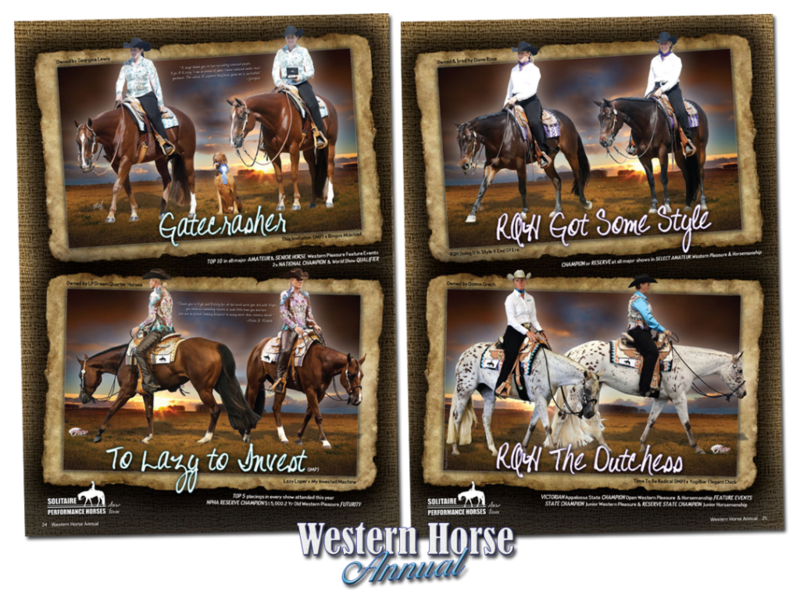 NOW AVAILABLE – exclusive to the Western Horse Annual! We are always looking at doing something different at the Western Horse Annual, and we are very excited to offer something we haven’t seen in Australia before. Fold out adverts. Go large – go WIDE! Pages fold out from a normal size A4 to a double page spread, and have two sides. Your adverts will look amazing with big photos, bigger and better designs and ridiculously affordable prices. These will be really attention grabbing and are limited numbers available – so don’t miss out! Message Mel today and secure your extra wide exposure! 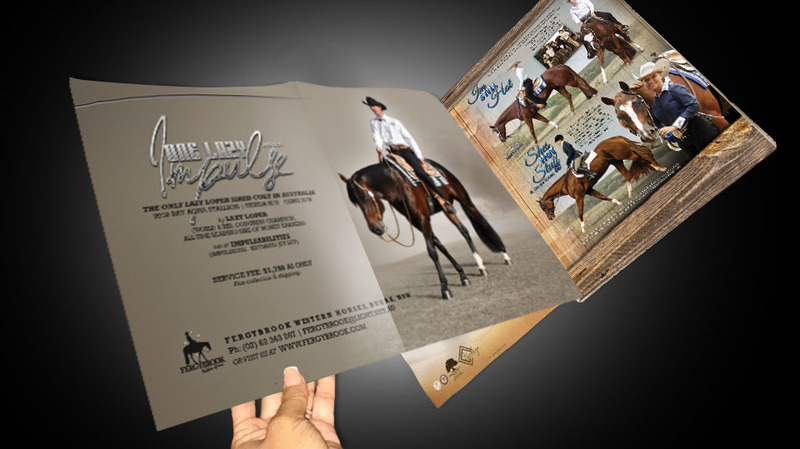 The Western Horse Annual is the only yearly publication in the market of its kind. Dedicated to the Western Horse breeds, this once-a-year magazine is uncontested in newsagents Australia wide. This is a collectable publication, which means you’re ad will be revisited for years to come. 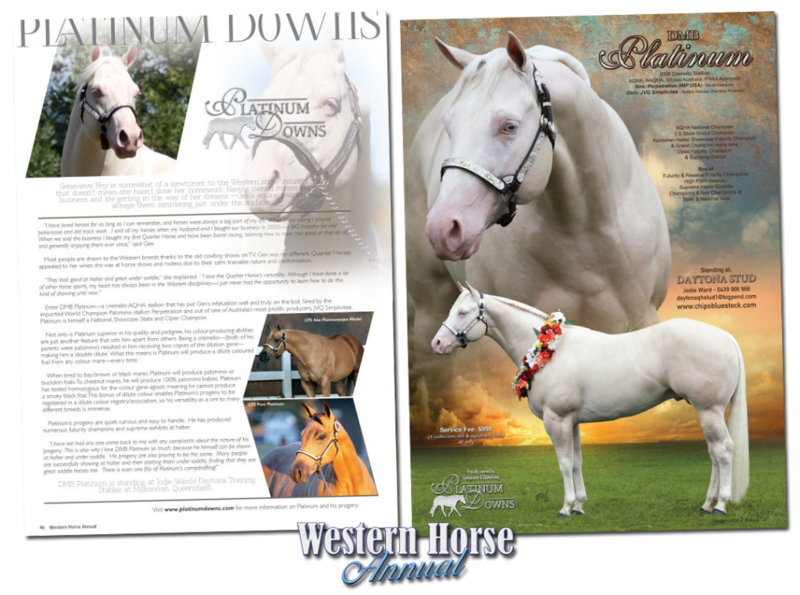 A feature only provided by the Western Horse Annual, the show team adverts are available to anyone wanting to be a part of the magazine. Showcase your show horses, their achievements and wins, without having to own a stallion or an equine related business the Show Team pages are the most popular pages in the Western Horse Annual, with all the leading trainers and their show teams keen to take part. Any size show team – from one horse to 30, are welcome! Talk to your team mates or trainer about taking part in this years edition. Full page adverts are set at the budget price of $440 for a full page, or share a page with your team mate for a half page rate of $220 each. Arrange your advertising early – and reap the benefits – discounted rates on already budget advertising prices apply if booked and paid before the 28th February. Meet up with the end of the year big shows – 31st May, so you can ensure your results are as current as possible for your advertising. The Western Horse Annual paves the way with offering the cheapest prices around, causing other publications to drive down their prices to try to match us. Rates have only gotten cheaper over the years, supporting the industry that supports us! Once again we were the first to offer this feature including the editorial page in the full page advertising rate. Now an optional extra with full pages – the editorial pages provide the advertiser with a platform to promote themselves even more without cluttering their advert with text. The Western Horse Annual is available in newsagents for 6 months of the year! We are part of your industry! Mel Gauld was the brain child behind the WHA’s creation & growth into the publication it has become today. Creating her first Western Horse Annual at 23, Mel has strived to produce an annual that fills the advertising and marketing gaps in the Western horse scene. Incorporating ideas sourced from the leading magazines in the USA and her own ideas from feedback and experience has resulted in the magazine you read today. An accomplished equine photographer and graphic artist, Mel puts her skills to good use in the WHA, and has been an active competitor in the Western horse show scene since the early 90’s. 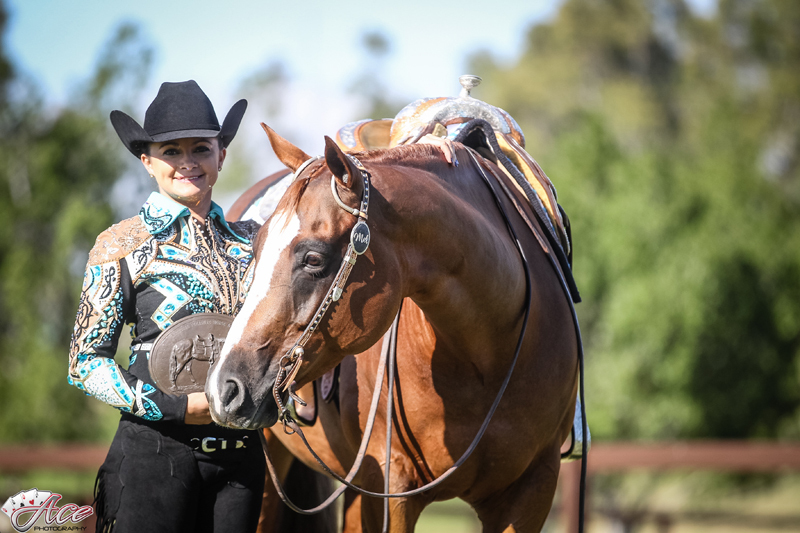 She has multiple national, state and NPHA champion titles with horses she has owned and bred in halter, western pleasure and hunter under saddle events.